Stockland announced the redevelopment and expansion of the Green Hills Shopping Centre at East Maitland in the Lower Hunter Valley in 2015. After opening the first section of its $412 million upgrade of the Green Hills mall in April, Stockland will further revamp Green Hills to incorporate disability amenities to ensure the complex is an inclusive experience for all. It is part of Stockland's ongoing multimillion-dollar development pipeline to create new "town centres" by upgrading and expanding existing retail centres. The developer currently has 40 retail centres across Australia with a gross book value of $7 billion. [Related reading: Green Hills back in business after major redevelopment]As part of the latest redevelopment to Green Hills, the developer will deliver disability amenities including an adult change room with an adjustable changing table and ceiling hoist will also open in September to assist carers and people with a disability. "With five million customers visiting Stockland Green Hills every year, ensuring these new bathroom amenities are inclusive is one small but significant initiative in making our shopping centre a place for all customers to enjoy," Stockland Development Manager Daniel Brabant said. 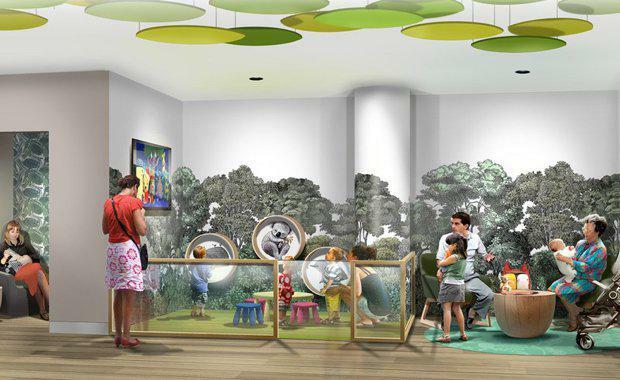 In November, the centre will also open a dedicated quiet room designed to create a safe place for parents, carers and children with Autism Spectrum Disorder (ASD), providing a calm, low sensory environment, which can be used as a retreat away from the busy shopping centre. We believe it is important to remove the barriers experienced by the four million Australians with a disability, so they can have the same access and opportunities that we do."